This frozen treat from Jasmin Fine is perfect for an end of summer party. Fill these rainbow glasses with your favorite beverage or desert. Then, check out more of Jasmin's awesome recipes at 1finecookie.com! 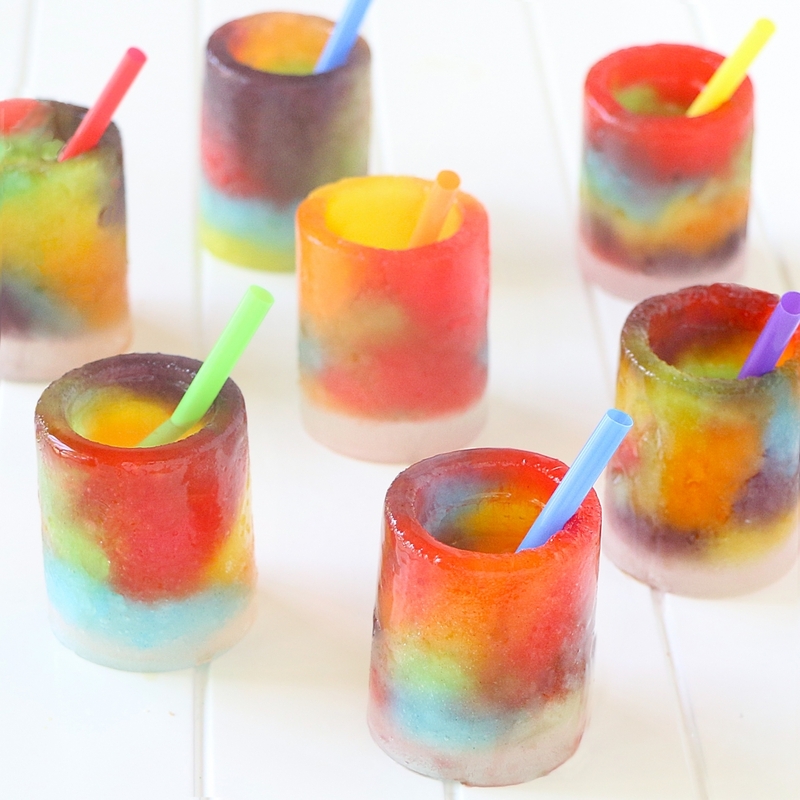 In a bowl, melt a couple of each color of twin popsicles from a Budget Saver popsicle bag. Freeze. Remove from freezer, and as soon as popsicles start to turn into slushy, quickly spoon into silicone glass molds. Use a knife or popsicle stick to make sure slush is pushed down into molds, filling all spaces. The best way to fill molds is to use hands. Keep hands warm with food safe gloves. If bowls of popsicles melt, return to freezer, and repeat steps once refrozen. Freeze shot glasses at a very low temperature. Remove from molds, fill with sparkling soda water that has been frozen until it is almost slushy-like consistency. Serve immediately on a plate.